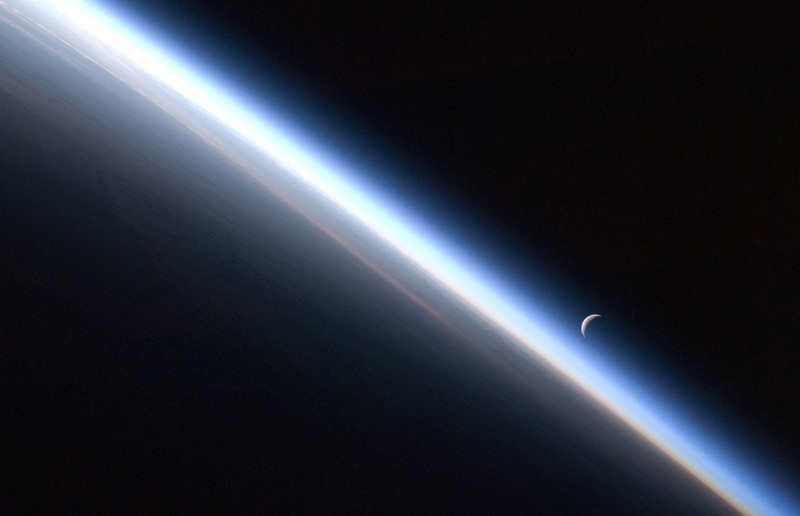 "A setting last quarter crescent moon and the thin line of Earth's atmosphere are photographed by an Expedition 24 crew member as the International Space Station passes over central Asia on Sept. 4th, 2010. (NASA) #"
"A 30-frame sequence showing Cassini's approach to the icy plumes of Enceladus on August 13th, 2010. (NASA/JPL/Space Science Institute) #"
This is the south pole of Enceladus, where tidal (gravitational) forces are creating enough heat to keep an underground body of water in a liquid state. The geysers are spewing out organic molecules along with the water. Incredible.